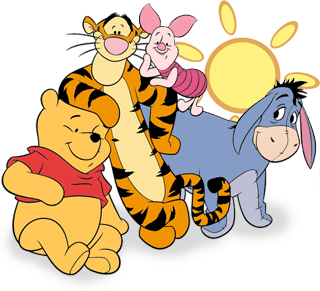 Deep in the Hundred Acre Wood live Christopher Robin's friends: Piglet, Tigger, Eeyore, Kanga, Roo, Rabbit, Owl and a silly old bear stuffed with fluff named Winnie the Pooh. Winnie the Pooh's first full-length movie The Many Adventures of Winnie the Pooh was released on March 11th 1977. Subsequently, Winnie the Pooh appeared in four television series, nine direct-to-video movies and four theatrical releases (The Tigger Movie, Piglet's Big Movie, Pooh's Heffalump Movie and Winnie the Pooh). 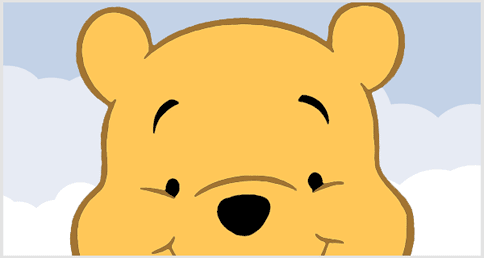 The author of Winnie-the-Pooh , Alan Alexander Milne, named Winnie the Pooh after a female black bear, who was named after the Canadian city of Winnipeg.